METAL PULP AND PAPER: Hello Paul. Thank you for taking the time to answer some questions for Metal Pulp And Paper. We appreciate it. MPAP: How are you, how are things going? PAUL: I am very well thanks. We had an amazing sell-out mini tour around the U.K., Netherlands and Germany to blow our cobwebs away; which we’ll be continuing in autumn. MPAP: You have a huge North American tour with Judas Priest that starts up mid-March, and wraps up May 1st in San Antonio, Texas? Are you all ready to go, excited about the next month and a half of shows? PAUL: We are well rehearsed and raring to go, as we have a great groundswell of aficionados in the Americas, and the Priest fellows have an open minded fan base. MPAP: There is so much to ask you and talk about I don’t know where to begin. For starters, there is a very long history with your band that formed in Barnsley, a large town in South Yorkshire in England back in 1977. Bands come and go over time, but you and your band Saxon have withheld it, lasted the storm, and have been together for a very long time now. We may bounce around a bit here and there with some questions, but if anything, most important of all, hopefully, we’ll quench the thirst of all your worldwide fans out there with this interview. We shall see, if anything, at least put on your seat belt, sit back and enjoy the ride. Are you ready? PAUL: Yorkshire folk are born ready, buddy. MPAP: Saxon is more than just a word or a band. There are many layers and layers of what has made this band who they are today. This is a band that started out playing in pubs, and now can fill arenas all over the globe. You’ve done so much, and achieved so much and you’re not even about to throw the towel in yet? There’s a tour coming up and you have new music out as well. Before we get into talking about your new release titled Thunderbolt, tell us how you feel about first starting out playing in small pubs, to being one of the leaders of the new wave of British heavy metal to now being successful and your tours selling out over the years? PAUL: What a great ride it’s been, to be fêted more or less worldwide by our fans and fellow musicians, and we are only too glad to remain current and not stagnant, by virtue of a very inspired and inspiring lineup. Bravo current- and past- members. MPAP: Speaking of that seatbelt mentioned earlier, how has this Saxon ride been for you? You’ve been the guitarist for over 40 years now? MPAP: Do you ever look back and go, how in the hell am I still here? PAUL: Of course, I never thought myself tenacious in my twenties, but I must be so. MPAP: Now let’s talk about Thunderbolt that was released on the Silver Lining Music label February 2nd. Tell us about it? What do you want everyone to know about it? What can the new fans, and your die-hard fans expect to hear? PAUL: I think it is our heaviest album, so may need more listens to latch onto, but worthwhile in the end (and the head). We have included more facts on solos for the inquisitive among you, unless we forgot who did them! It was almost a year of writing and recording between shows, like bands in the 60s used to do albums. 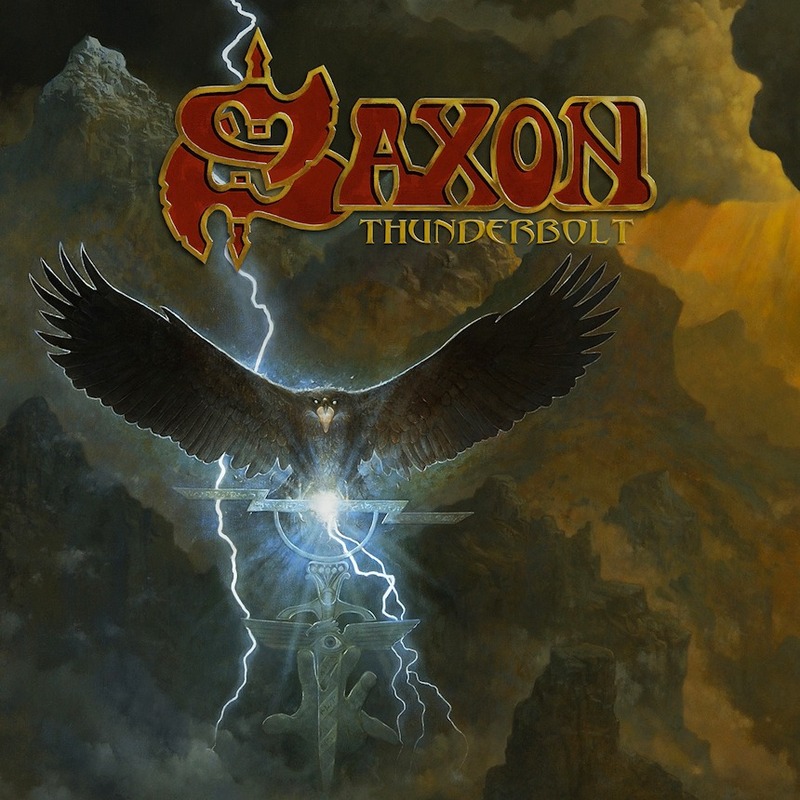 MPAP: This will be Saxon’s 22nd full-length release. Yes, Metal Pulp And Paper readers, you read that correct, 22 releases. Wow, that’s a huge accomplishment. Now when you think of this being your 22nd release, what goes through your head? PAUL: Neurons mostly, but good vibrations (to quote Brian Wilson). I cannot refrain from complimenting my cohorts again for their natural creative abilities, even songs written by others get some Saxon finesse in the overdubs. MPAP: I can just imagine how difficult it must be to come up with a setlist that would satisfy everyone? 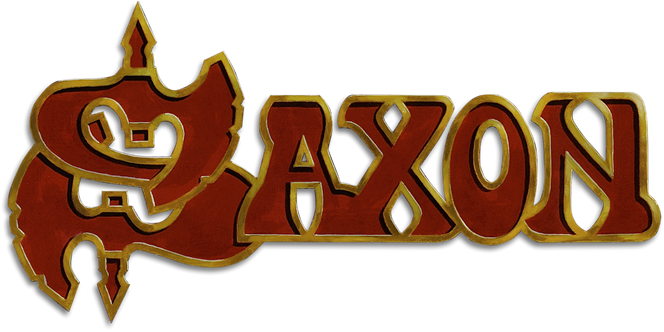 PAUL: Especially as regards our saxon747.com [and Saxon (Official)] forums, who travel to many shows, even internationally; but I think we are playing more new songs than we have since our Lionheart album, which also pleases us as musicians. MPAP: Thunderbolt opens with the guitar intro called "Olympus Rising" and without pausing, breaks right into the title track song "Thunderbolt". After over 40 minutes of hard rocking, powerful guitar driven metal, Thunderbolt finishing things off with a track called "Roadies Song". Tell us a little bit more about what some of these songs are all about? PAUL: Apart from the song extolling the ‘virtues’ of our crew members, mostly Biff’s cinematic image creations of adventure and living near the edge, often questioning authority and blind belief; but you should ask him for the deeper meanings. 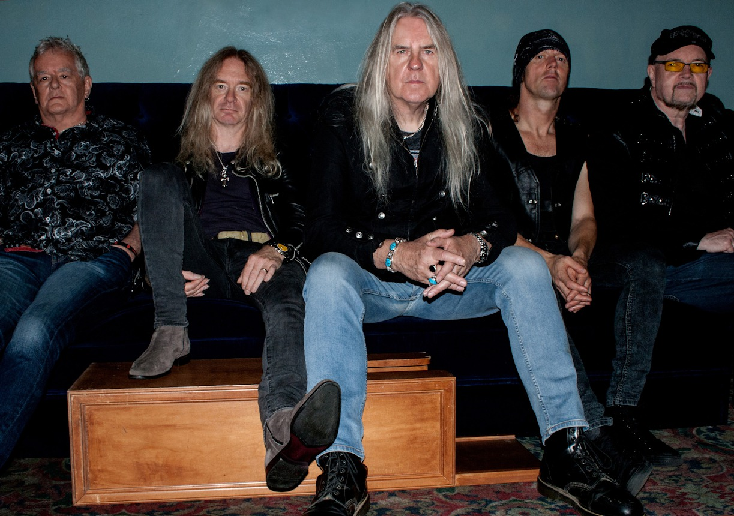 MPAP: There have been some lineup changes over the years in Saxon. Other than you and your partner in crime Biff Byford, you are the only two remaining original members left. What is it that has kept you both together for this long? There must be a strong brotherly bond there that’s unbreakable? PAUL: We have admiration and arguments, but nothing to worry us. Very like brothers who live separate lives until necessity becomes a mother! (Thanks Frank Zappa.) I think singers and guitarists gravitate to each other for mutual benefit, there are so many examples of singers who collect guitarists, even multiple. I can carry a vocal melody, but not as well as Biff does. MPAP: After recording music together and touring the world together for over 40 years, is it even possible to think about how you’ve both grown as musicians and as a band since your debut self-titled release in 1979? PAUL: We learned to roll with the punches and fan expectations from being penniless and ripped off, to getting metal disco and radio airplay, so the early popular tracks "Backs To The Wall", "Stallions Of The Highway" became a major influence, as close to our surface as Deep Purple, ‘Sabbath, ‘Zeppelin, ‘Priest and AC/DC. MPAP: You’ve performed at a lot of festivals over your career, including Download Festival, Wacken Open Air Festival in Germany, and Bloodstock Festival in the UK. And you have even headlined the Reading Festival. Is there one of those festivals that stands out the most to you? And is there one you’d like to go back to and do it again and again? PAUL: I enjoyed them all, but at Donington Monsters of Rock in 1980 we were middle billed and going for it like maniacs, with a mostly partisan home crowd cheering for their underdogs.What a time period, period. 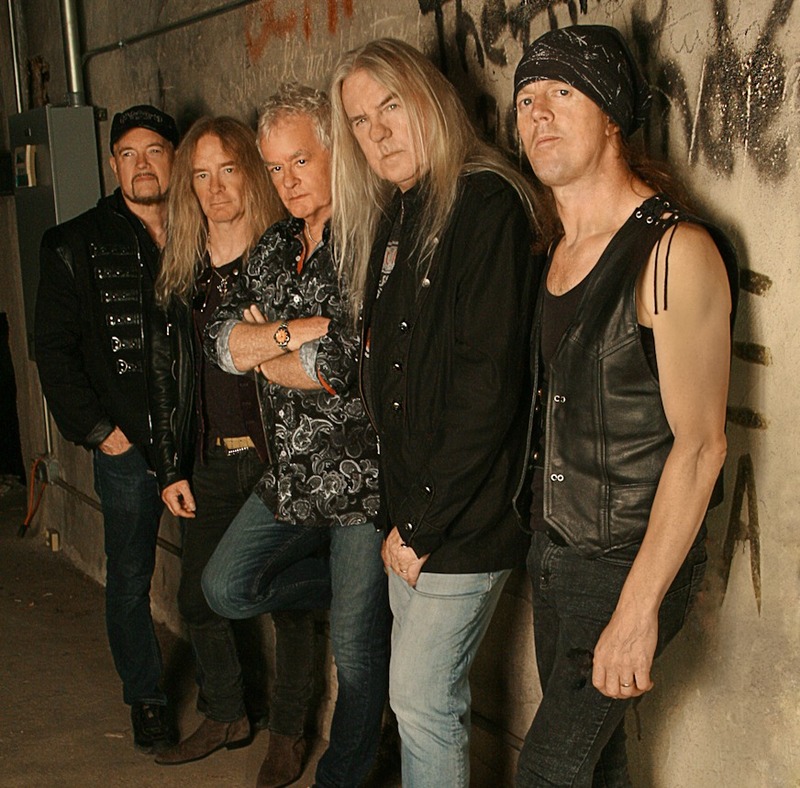 successes, the millions of albums sold, and the many bands that you have influenced being in Saxon? PAUL: We paid the dues I think, especially as a blue-collar outfit with no real back-up except parental love and belief by all. I did cabaret shows with ‘Pagan Chorus’ 7-piece to get gear together, and often sat playing my guitar to the themes on T.V. To have influenced so many was my dream, and we often invite other guitarists to jam on Denim & Leather, including (the above missing band’s) David Sabo of Skid Row. MPAP: I know it might be impossible to imagine, but if you weren’t a guitar player, what else do you think you would have liked to have been? PAUL: Ouch, difficult. I studied electronics, so probably a cable guy? MPAP: Going back to the previous comment earlier for a moment, ‘how in the hell am I still here’, did you ever get caught up in the drugs and the alcohol? Heavy metal music and the demons of addictions seemed to go hand in hand in the 70s, 80s, and into the 90s. Did you get caught up in the mayhem of it all? PAUL: I tried, but liked neither the paranoia nor the nausea and headaches. I ended up being quite boringly moderate, with the effect of ‘hardly ever’ falling from stages or forgetting song arrangements. MPAP: Some fans might not know this, but Saxon had Elton John, make a guest appearance on not one, but two tracks on your 1986 Rock The Nations release. The songs were "Party Till You Puke", and "Northern Lady". How did this all come about to having a musical legend of a different genre play on your album? MPAP: Before we bring this interview to a close, I have a special guest that would like to ask you a couple questions. Matt James, the vocalist from the Texas hard rock band Blacktop Mojo, who are already on their way to have a huge career, and have already begun to put their names on the hard rock map wants to know; what first inspired you to pick guitar as an instrument? Which players were your biggest influences when you were learning to play? PAUL: Well done, Matt. I was a little young (5) for Bill Haley, but heard the R’n’R era from relatives, (Elvis with Scotty, Little Richard, Chuck Berry,) and some of it was from UK outfits. Then, instrumental music from (our answer to the Ventures,) the Shadows, led almost seamlessly into Beatles, Stones, Pretty Things and Kinks. As regards playing lead, the Yardbirds had my hot pickers of Clapton, Beck and Page until they were sideswiped by my favourite, Jimi Hendrix. I got heavily into Yes’s Steve Howe and Patto’s Oliver Halsall later, with Blackmore, May & Young thrown in. MPAP: On behalf of myself and Metal Pulp And Paper, I’d like to thank you, Paul, for doing this interview. We look forward to what Saxon does to finish out 2018 and beyond. We also look forward to seeing you out on the road for the Firepower tour supporting Judas Priest. That is going to be one hell of a good time. PAUL: You are telling me! We have opened for bands of finesse and power through the years, and Judas Priest are right up there in our pantheon of metal gods. MPAP: Any last words for the readers and all your fans worldwide out there? PAUL: Support live music, locally and internationally as you always have done. We will be there for you. MPAP: Once again, thank you, Paul. PAUL: Enjoyed it, cheers. À Cosmos.